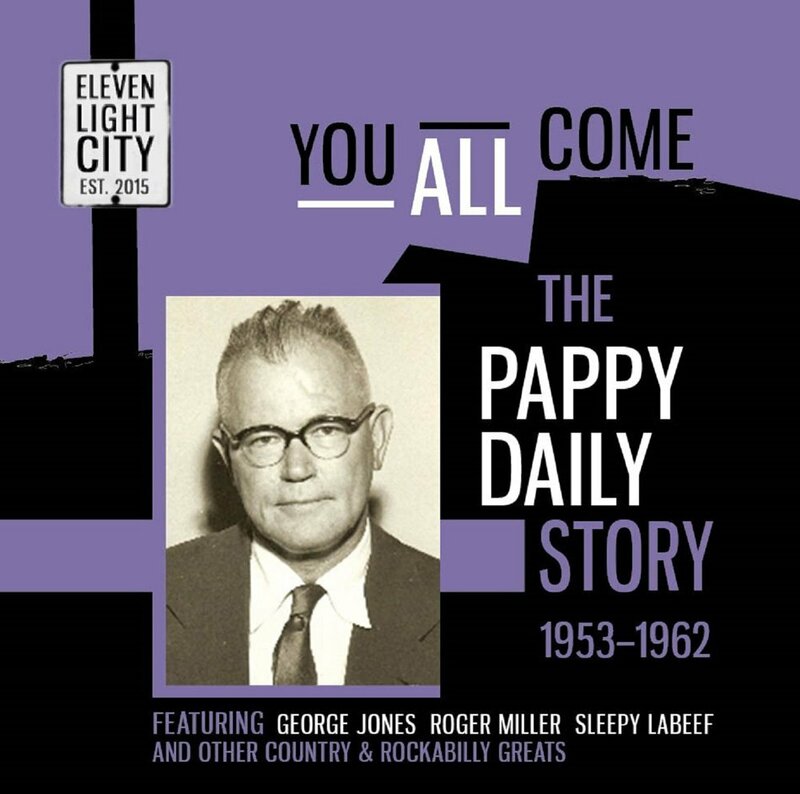 Howard “Pappy” Daily was a Houston-based music impresario who is responsible in part for making Country music a national phenomenon. Daily was a shrewd businessman with an ear for a good tune, and the combination of taste and acumen would find him moving up quickly from being a salesman to owning record stores and then to owning record labels, and from there he moved to artist management and becoming an executive A&R head at numerous labels. It was George Jones, his most significant find, that helped fuel Daily’s career. Jones’ success on Daily’s label Starday led to a distribution partnership with Mercury Records, which propelled Jones from a regional star to a national act and made Daily a major player in the Country & Western scene. His labels might have had only a handful of hits outside of Jones, it wasn’t for lack of quality music, as You All Come documents. Though he had a fondness for Hank Williams-style Country (Benny Barnes’ “Poor Man Riches,” Curtis Gordon’s “So Tired of Crying,” Sonny Burns’ “Blue House Painted White”), he also had a fondness for the rockabilly leanings of Jerry Lee Lewis and Elvis Presley (Dave Edge’s “Wham Bam,” Merl Lindsay’s “Hey Little Boy Blue”) and an ear for Gospel (Judy Lynn’s “My Father’s Voice,” Claude Gray’s “Family Bible”) and R&B as well (Link Davis’ “Don’t Big Shot Me”). The two Jones songs here, “Why Baby Why” and “She Thinks I Still Care” document just how much Jones had matured; “Why Baby Why” is a raucous hillbilly number, while “She Thinks I Still Care” is a much more sophisticated affair, a hint at the countrypolitan style that would soon become commonplace in 60s and 70s-era Nashville. As for Daily, in 1965 he would start a new label, Musicor, with Jones as the signature artist. The relationship would last until 1971, when Jones would sign to Epic in order to work with his wife, Tammy Wynette, thus ending their long relationship. Daily would retire from the business, though he continued to run a publishing company, before passing away in 1987. His was a full life, and if the relatively small sampling found on You All Come gives just a taste of a vast catalog that’s deserving of more compilations like this.